Simply put, there is not a better appliance for pre-maxillary development. When arch length and transverse enhancement is needed, this sturdy appliance has countless benefits: it’s durable, easy to place, has minimal bulk, and can be worn in conjunction with straight wire. 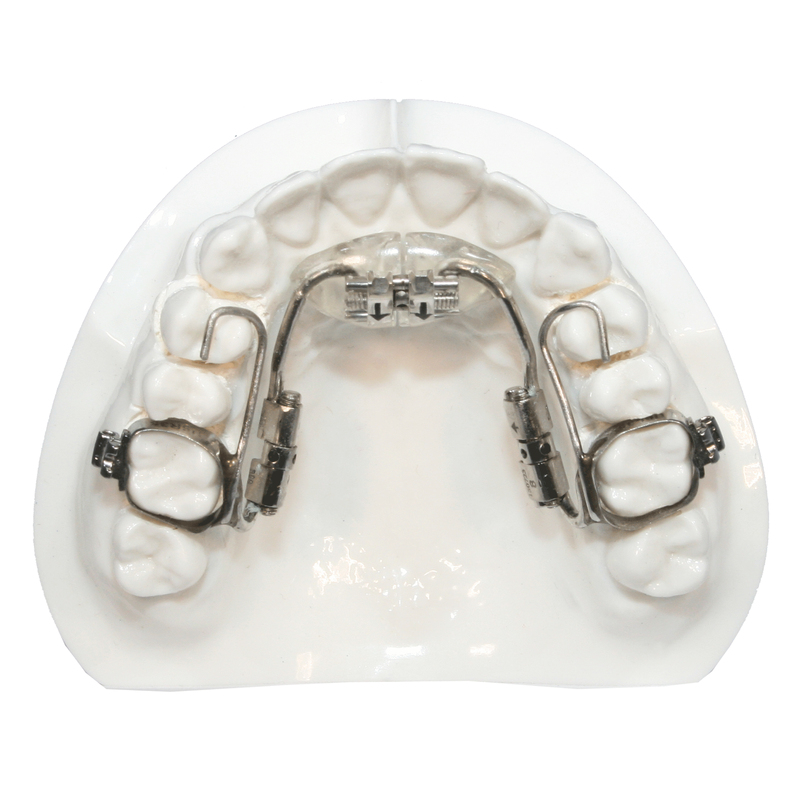 The Barrel Fixed 3-Way for pre-maxillary development is a versatile 3 way appliance for patients who will not wear a removable appliance. Clinicians often claim that there is not a better appliance for anterior development. Clinicians have also discovered that unlike similar designs where the transverse screw is placed in the anterior, the sturdy design of this appliance achieves posterior expansion equal to an RPE or Quad Helix. 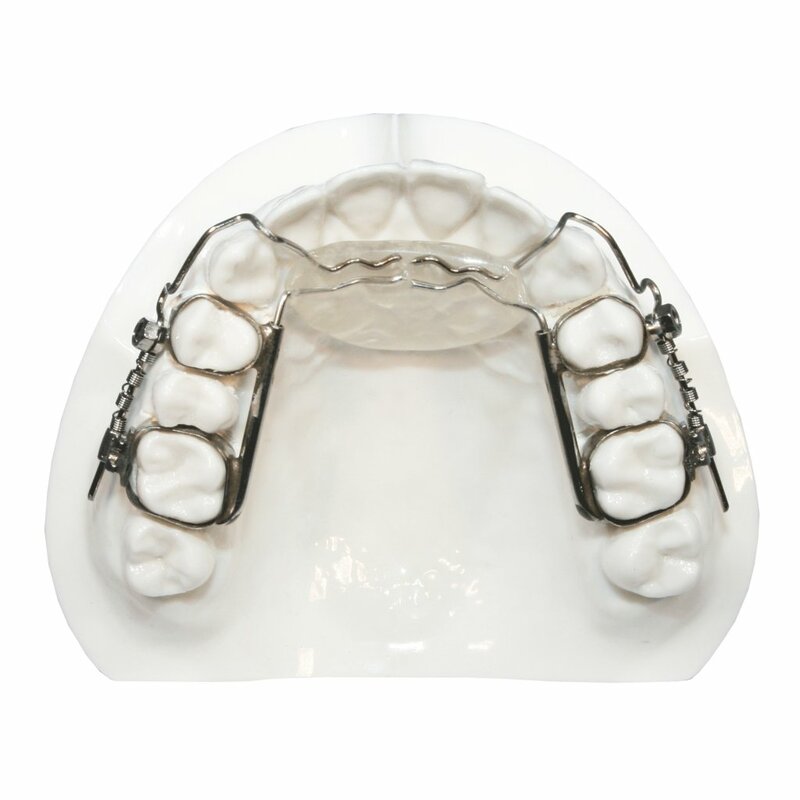 The most important benefit of the Barrel Fixed 3-Way is the simple design which allows the clinician to progress to straight wire treatment while the patient develops the arch. This benefit often reduces overall treatment time. The standard design includes a 7mm transverse screw and 10mm bilateral sagittal screws. If the clinician would like to achieve greater than 5mm of transverse development a 10mm screw can be substituted in the anterior region. Sagittal screws are turned 1 turn twice a week. The transverse expansion screw is also turned 1 turn twice a week. If a premaxillary asymmetry exists, one side may be turned more than the other until the asymmetry correction has occurred. Then simply turn both sides evenly. Lab Requirements: Upper and lower models free of bubbles, distortions, or voids. Impressions must be taken with a heavy body alginate. The Barrel Sagittal is a fixed sagittal used to develop the premaxilla. To activate, the patient turns both gears towards the midline until the next hole is easily accessible. 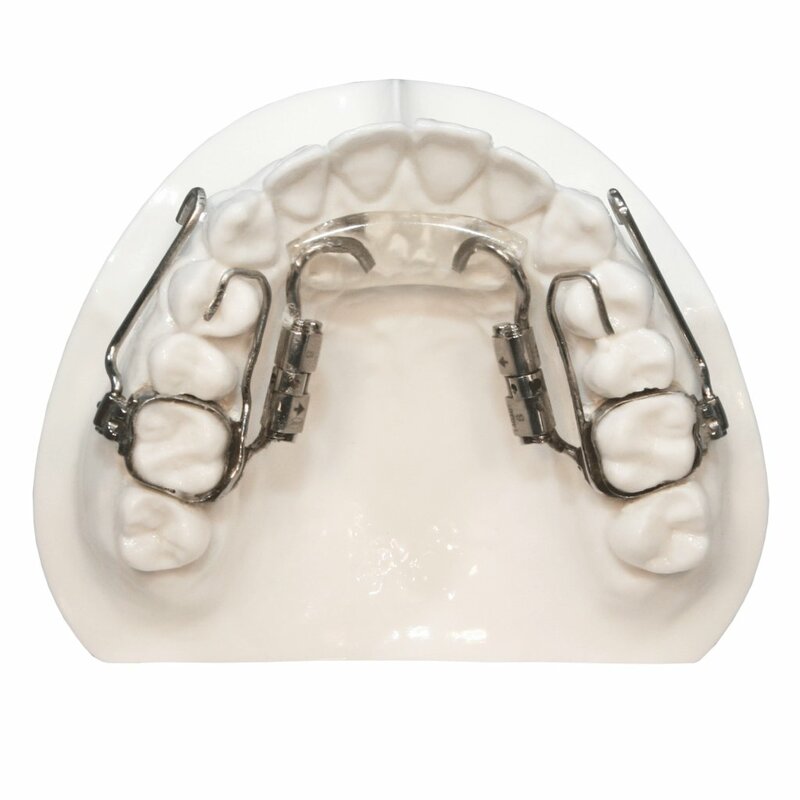 Lingual mechanics and freedom to place brackets from molar to molar make the Barrel Sagittal our most popular sagittal appliance. Note: You must bond the occlusal rests in order to achieve the anchorage to develop the premaxilla. The FS Memory 3 Way takes all activation away from the patient. It features a memory gear in the palate with tubes embedded into the anterior acrylic. This allows transverse expansion to occur without a split opening in the acrylic, providing more efficient anterior development and much better hygiene. Sagittal development is achieved with the Inman Power Component (IPC). The IPC’s compressed coil spring provides an easy-to-adjust force controlled by a unidirectional sliding lock. The lock can be advanced 1mm “click” at a time for accurate, predictable activation. It is recommended that the doctor bond the anterior lingual wire to the teeth. Lab Requirements: Upper model (scanned or stone) free of bubbles, distortions, or voids. Impressions must be taken with a heavy body alginate. The Jet Sagittal is a fixed sagittal used to develop the premaxilla. A midline gear can be added to expand transversely. The Jet Sagittal is popular with doctors who have uncooperative patients. The doctor activates the appliance by loosening the Jet screw and sliding it mesial to compress the NiTi coil spring. Lingual mechanics and freedom to place brackets from molar to molar make the Jet Sagittal a popular sagittal appliance. Note: You must bond the occlusal rests in order to achieve the anchorage to develop the premaxilla. In Class III patients with midfacial deficiencies, the fixed Tandem appliance is the clinicians’ preferred alternative to a facemask in Class III correction. The Tandem can be added to nearly every fixed or removable appliance. The Tandem Bow is removable and worn usually as a night time appliance. The upper portion is often fabricated with a hyrax screw for palatal expansion. Buccal arms extend distal to the upper cuspids for class III elastic therapy. Five Star puts face bow tubes on the buccal of the lower first molars bands of a holding arch or skeletal expander. The Tandem Bow is worn nightly with elastics extending from the upper buccal arms to the lower hooks. Five Star puts hooks on the upper 1st molars. 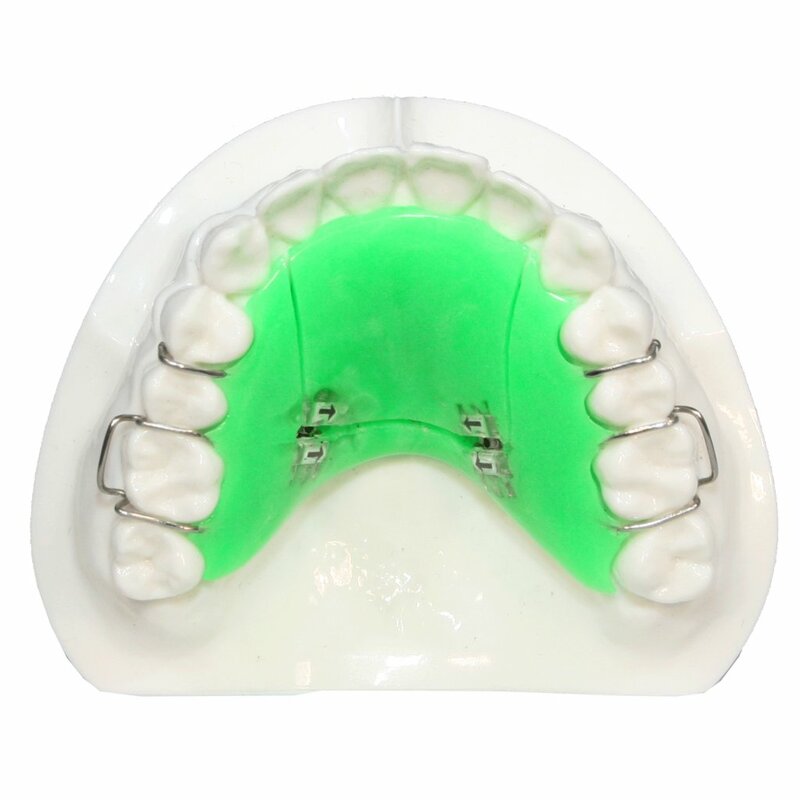 This allows for 24 hour class III action as the patient wears elastics from the upper first molars to hooks on the lower cupids in the daytime. A NiTi wire can be easily added after crossbite correction to initiate lower incisor rotation correction and torque the incisors to a proper incisal angle. The 3-Way Schwarz is the fixed version of the Barrel Fixed 3-Way. It is a great solution for patients in need of arch length and transverse development. This appliance features a 3-way gear that has 2 turning points, each turned twice per week. It can be used in conjunction with straightwire if designed with ball clasps rather than adam's clasps. Lab Requirements: Upper and lower models free of bubbles, distortions, or voids. The palate must be fully impressed. Impressions must be taken with a heavy body alginate. The Anterior Sagittal is commonly used with Class II Div II cases when the mandible is trapped behind lingually inclined maxillary incisors. A loss of vertical and deep overbite is common with Class II Div II cases and occlusal coverage is often desired to open the vertical dimension and give added retention to the appliance. Patients presenting a class II Div II case typically have a retroclined premaxilla, lingually inclined maxillary incisors and a posteriorly positioned mandible. 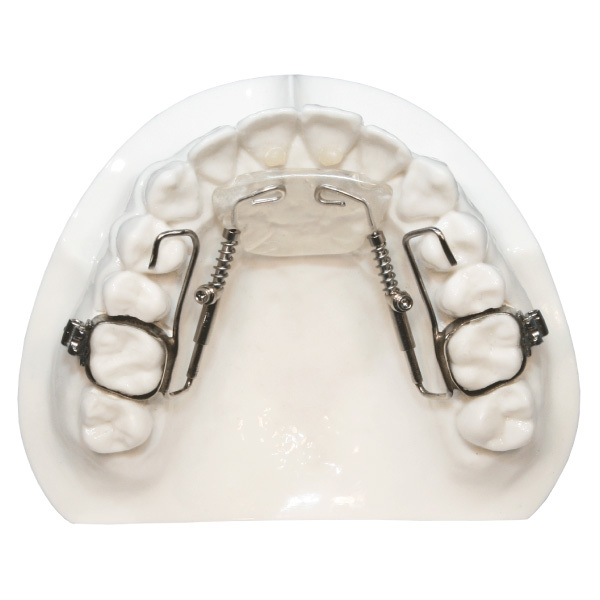 The Anterior Sagittal prepares the arches for functional appliance therapy with a Rickonator. Cases presenting Class III with a retrognathic maxilla and normal mandibles with anterior crossbites are excellent candidates for an Anterior Sagittal. The patient should turn the side screws simultaneously 1 turn twice per week. 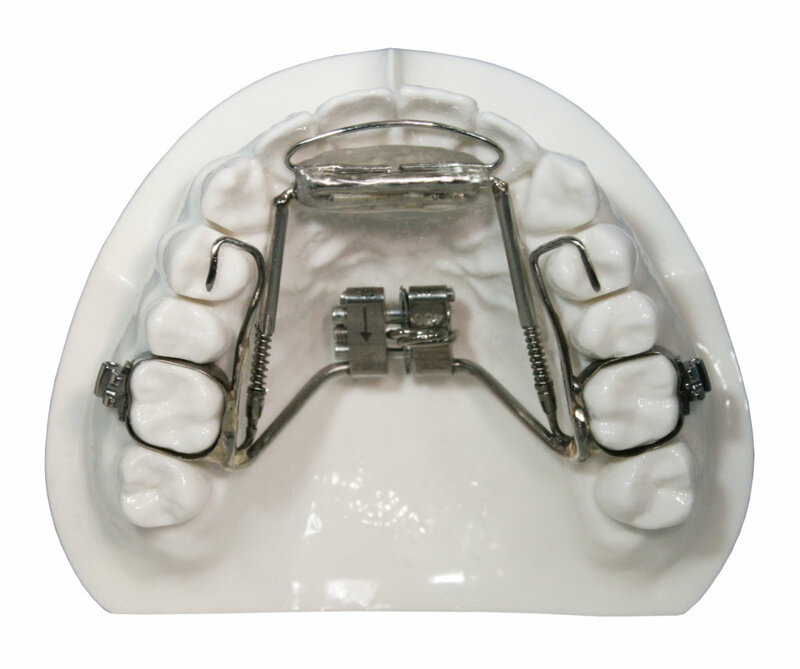 The Five Star Anterior Growth Appliance is a fixed premaxillary development appliance. The buccal spring is activated once a month by the doctor. An anterior nance button and lingual wire applies force to the premaxilla and the anterior teeth, which results in anterior development. It is recommended that the doctor bonds the cuspid hooks and lingual wire to the anterior teeth. 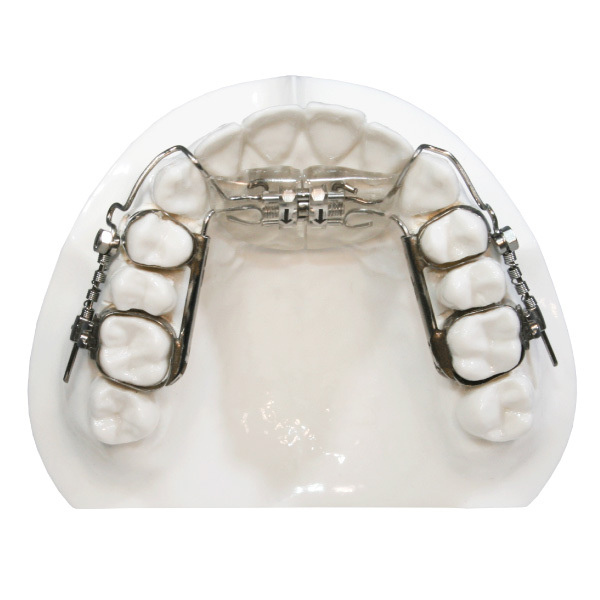 This appliance is often followed by a controlled arch appliance. 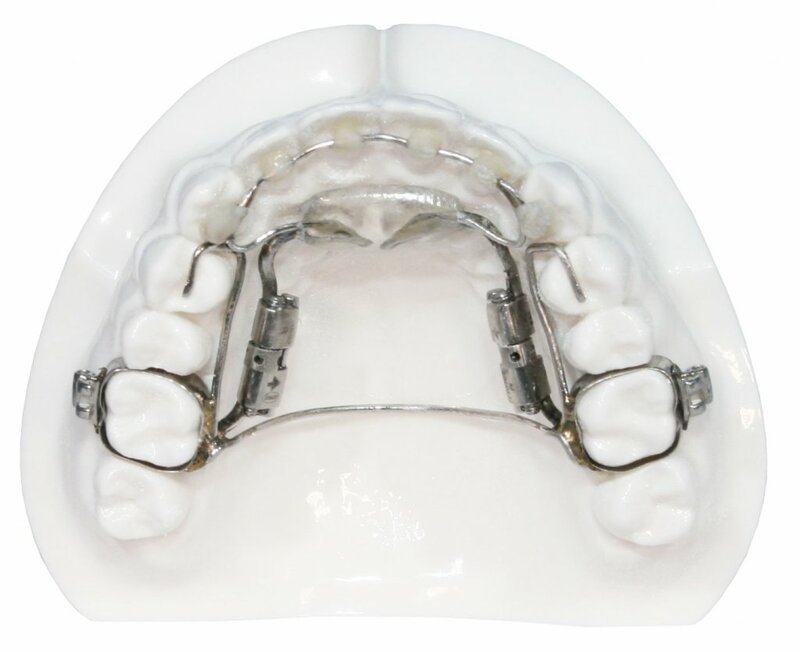 The Barrel Anterior Growth Appliance is a fixed premaxillary development appliance. It is designed with gears on the lingual, which allows for bracket placement during the retention phase. The posterior gears are activated by the patient one turn, twice a week. An anterior nance button and lingual wire applies force to the premaxilla and the anterior teeth, which results in anterior development. It is recommended that the doctor bonds the cuspid hooks and lingual wire to the anterior teeth during the development phase. 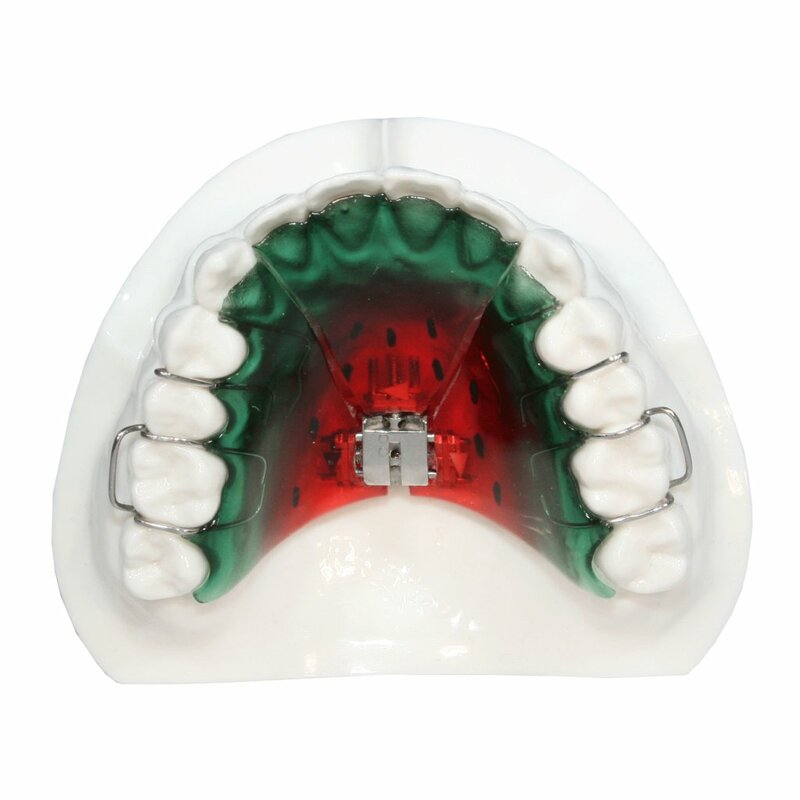 The Jet Anterior Growth Appliance is a fixed premaxillary development appliance. 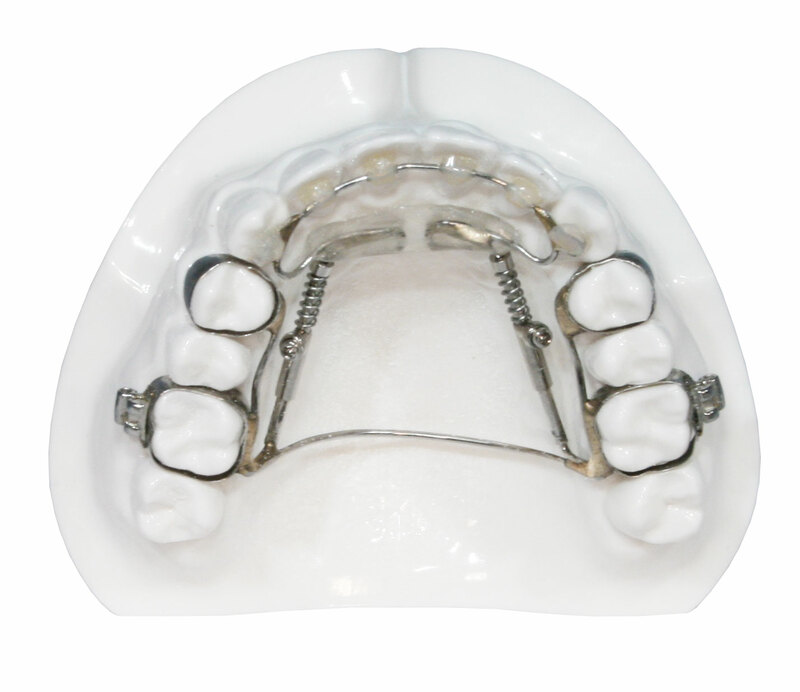 It is designed with springs on the lingual, which allows for bracket placement during the retention phase. The springs are activated once a month by the doctor. An anterior nance button and lingual wire applies force to the premaxilla and the anterior teeth, which results in anterior development. It is recommended that the doctor bonds the cuspid hooks and lingual wire to the anterior teeth during the development phase. 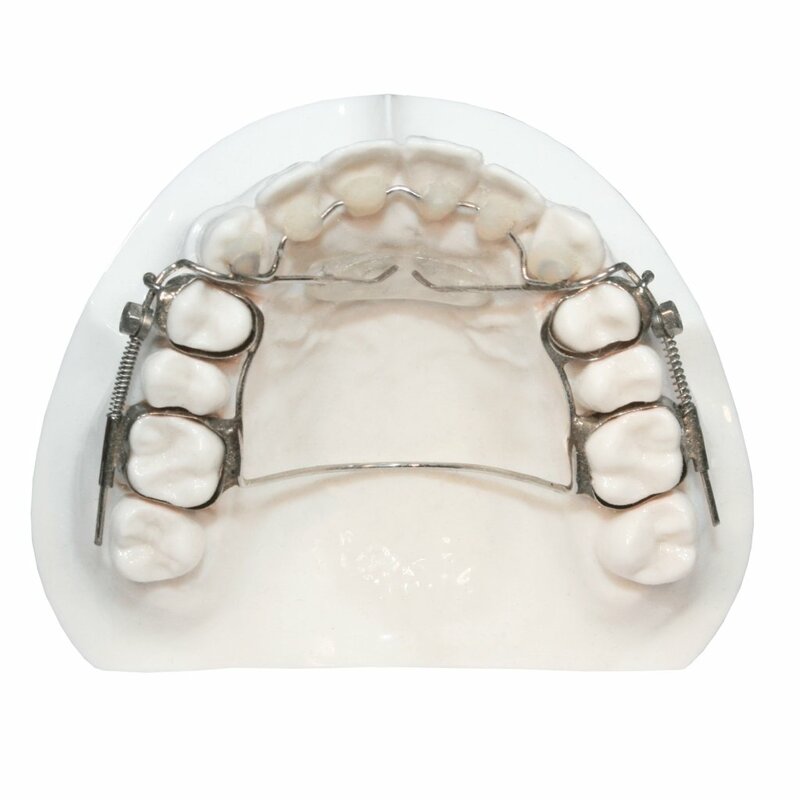 The Modified Magill Sagittal is a versatile 3 way fixed appliance designed for premaxillary and lateral development. It can be made with Wilson attachments for an easy transition to a TPA once arch development has been completed. Buccal tubes with a Gurin lock and NiTi spring make for easy activation. At each patient visit, approximately every 3 to 4 weeks, the Gurin lock is loosened and pushed distally to compress the coil spring. When the spring is compressed, the lock is tightened to keep the coil spring activated. This should be done bilaterally. If you have a noncompliant patient, try this design with adjustable coil springs. 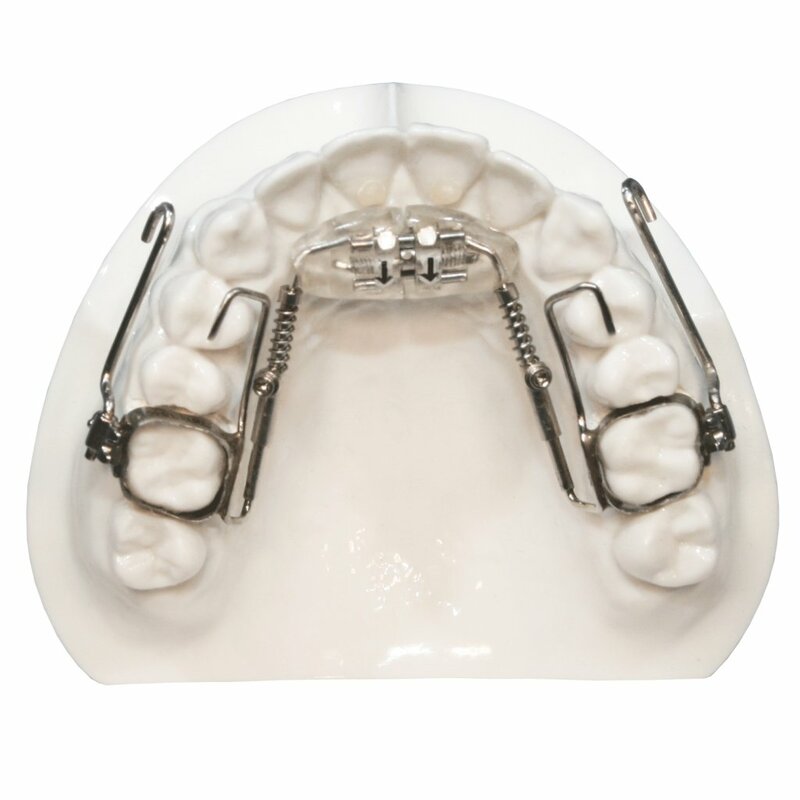 The Modified Magill Sagittal is an appliance designed for premaxillary development. Buccal tubes with a Gurin lock and NiTi spring make for easy activation. At each patient visit, approximately every 3 to 4 weeks, the Gurin lock is loosened and pushed distally to compress the coil spring. When the spring is compressed, the lock is tightened to keep the coil spring activated. This should be done bilaterally. If you have a noncompliant patient, try this design with adjustable coil springs. 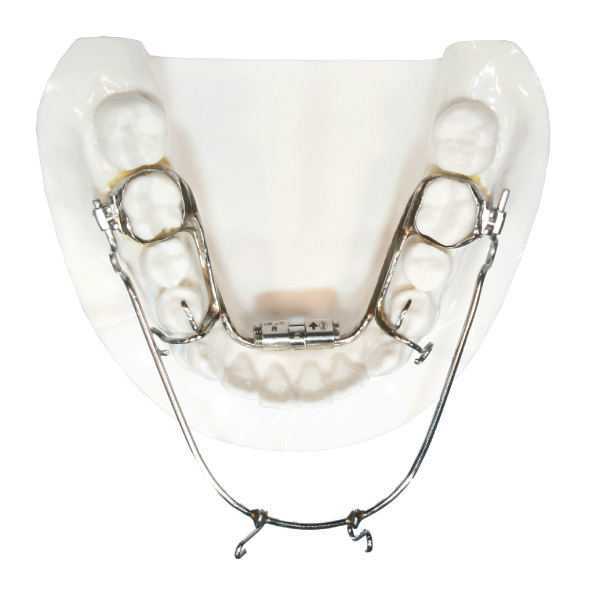 Th Jet Sagittal is a fixed appliance used to develop the premaxilla. The lingual springs are activated by the doctor once a month.